Extending the Borders Railway line to Carlisle is to be examined in a new report commissioned by Transport Scotland. In 2015, the railway line became the longest to be built in Scotland since 1901 and could be further extended following the new study. The extension of the Borders Railway is just one of the options to be considered in the report as the agency looks to improve transport provision in the south of Scotland across road, rail and public transport. 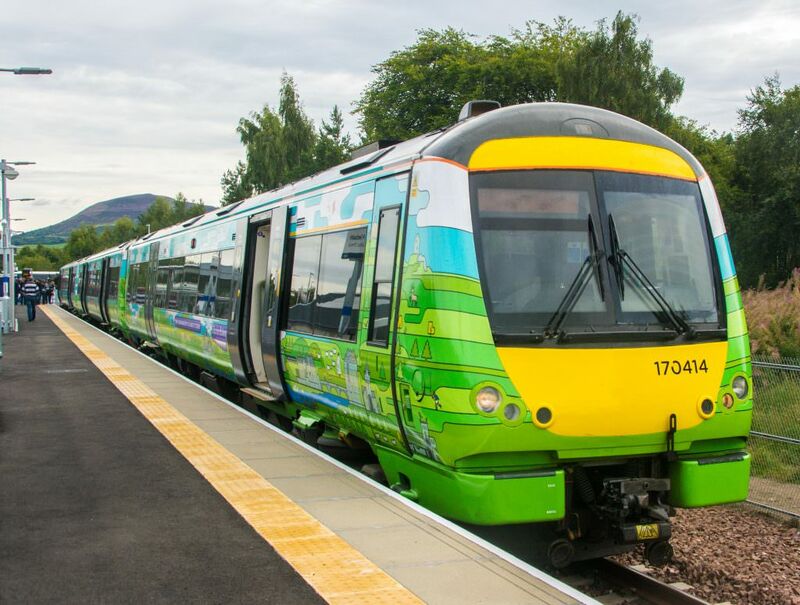 The news follows the Scottish Government’s 2016 ‘A Plan For Scotland: The Scottish Government’s Programme For Scotland 2016-17’, which acknowledged the benefits that the new Borders rail had brought “for travellers, the environment, the economy and communities”. In the report the Government made a commitment to examine the case for an extension of the railway by the end of 2017. Transport Minister Humza Yousaf said: “This study will take forward that commitment by considering how we improve accessibility in the Borders, link communities to key markets through strategic transport routes and identify where improvements to transport links are required. The Borders Railway, which is single track with three dynamic passing loops, connects the city of Edinburgh with Galashiels and Tweedbank in the Scottish Borders. The new rail link that opened in September 2016 follows most of the alignment of the northern part of the Waverley Route, a former double-track line in southern Scotland and northern England that ran between Edinburgh and Carlisle, which was closed in 1969 as part of the Beeching cuts. The possibility of the extension was welcomed by the Campaign for Borders Rail, which, alongside local councils and the Scottish Government, campaigned for the new Borders Railway. Campaign for Borders Rail chairman Allan McLean said: “We knew there was going to be a study involving road and rail in the South of Scotland but details weren’t confirmed until yesterday’s announcement. “The fact that extending the Borders railways to Carlisle is being considered is welcome news. “It would be very useful because it would connect [communities in the Borders] with the rest of the national network. The approximately seven-month study is expected to begin later in April, subject to the completion of the mandatory standstill period, and will be conducted by Jacobs UK Ltd following Transport Scotland’s announcement yesterday (April 10). Next articleGender, skills and shortages – How much progress is being made? I can’t see the point of extending to Carlisle, which already has good links to Edinburgh – certainly not any time soon. However, an extension to Hawick in the short term, and additional doubling of the existing track are excellent ideas. Once those are done, and the new capacity is operating, the issue of a Carlisle (or Newcastle) extension should be looked at again.